(Ormond Beach, FL, January, 2014) BellowsTech, LLC now offers metal expansion joints using micro edge welded technology. 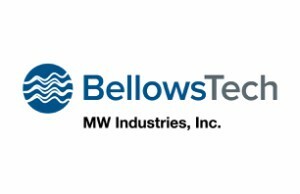 While traditional metal expansion joints are manufactured using a hydraulic press, or hydroformed, BellowsTech employs a proprietary welding technology. Metal diaphragms are stamped to a round or rectangular shape. The inside diameter of the diaphragms and alternating outside diameters are welded together to create an extremely flexible joint. Edge welded bellows technology offers high cycle life and excellent repeatability. 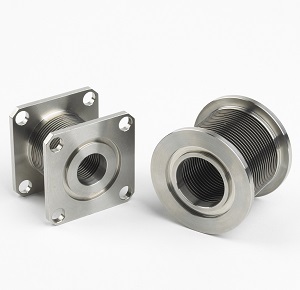 BellowsTech metal expansion joints are commonly used to compensate for the expansion and contraction of liquids and gases under varying pressure and temperature conditions. Typically, the metal bellows can either completely compress onto itself or expand by twenty-five percent. For added strength under higher pressure ranges, BellowsTech can utilize thicker diaphragms, higher strength material, or multi-ply construction. While increasing the thickness of the metal diaphragm will reduce the stroke length of the bellows, edge welded technology is typically still much more flexible than hydroformed or electroformed bellows. 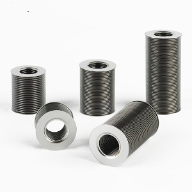 BellowsTech currently stocks fourteen different material options including stainless steel, Inconel, Hastelloy, and Titanium. 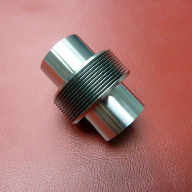 Depending on the pressure and temperature characteristics of the application, BellowsTech can compensate for the variables by substituting the materials to produce the desired results for the customer. Temperatures from cryogenic ranges to over 1200°F can be contained within the bellows with the proper materials. Multi-ply construction requires two or more diaphragms to be stacked in the same direction and welded at the same points. This gives more strength to the overall design. Because the differential pressure between the outside and inside of the expansion joint is a critical design factor, BellowsTech can use its in-house design expertise to recommend the best method to accomplish the optimal design for the customer.